Temperature compensating mattress made of high quality cold foam. -By "Dry" effect for ideal moisture management: The multilayer fabric is water repellent, but air can circulate unhindered and the core remains dry. In addition, under the upholstery fabric a Outlast absorbs excess heat and releases it when needed again. Temperature fluctuations are compensated. "If you do not feel anything, it is Outlast®"
Outlast® was developed by NASA in order to compensate on the moon more than 200 ____deg; C temperature difference between sunny and shady side. Meanwhile, the Air Regulations provides fiber in numerous products for well-being. Significantly this: The Outlast® effect appears initially that one does not feel it. Because the touch of an armed Outlast® fabric this is neither too cold nor too hot, but feels just right on. 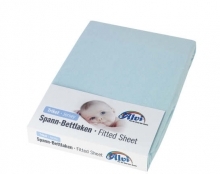 During use, the material absorbs resulting excess body heat, stores it and releases it when needed again. As the high-tech fiber is able to compensate for temperature fluctuations, is impressively on Winterfußsack Air-Active: In this, the child remains in good spirits even in intense pre-Christmas shopping trips longer with several temperature changes. This outstanding climate comfort is to have a variant of the infant carrier. 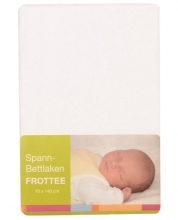 benefit from the climate-regulating features of Outlast® fiber children during sleep: The fiber reduces unpleasant Schwitzattacken and dangerous heat build - and ensures all sleep phases constant comfortable temperature. Meanwhile Alvi® has a complete indoor collection of Outlast® in the program. 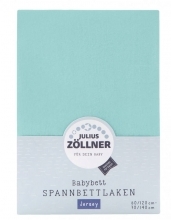 Apart from a special baby sleeping bag ( "Baby Mäxchen® Outlast®") is also a duvet available which is characterized by its filling of high quality polyester high loft fleece and a 30 percent share of Outlast® viscose fiber. 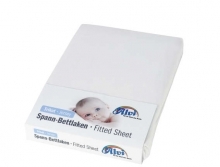 Thus the baby felt all around comfortable, Alvi® equips mattresses with Outlast® regulation. Then the proven air-permeable and water-repellent TENCEL® & Dry fiber of the upholstery material is combined with Outlast® fabric layer. So the baby is always dry and at a comfortable temperature.